Why choose Conductor® instead of other media surfactants? It’s simple. Conductor® gives you better control of moisture for a longer period of time than any other product on the market. 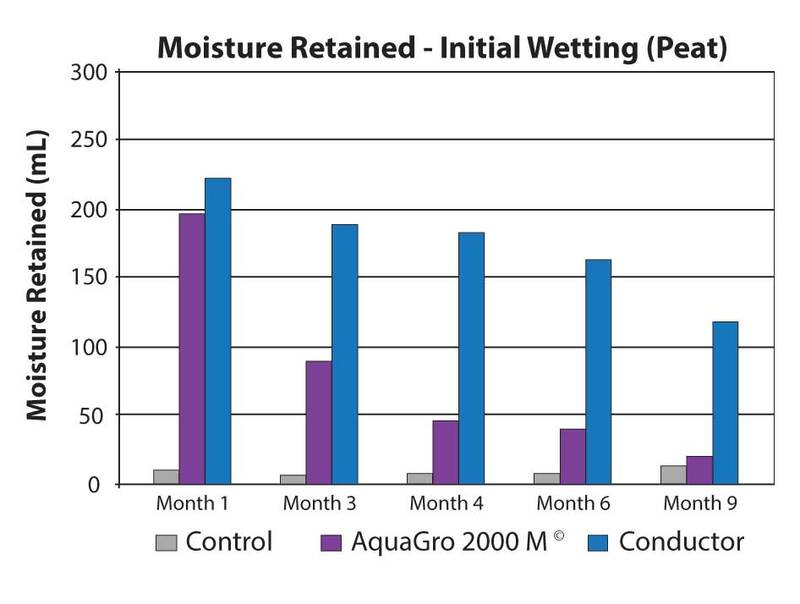 When added to a growing mix, Conductor improves wettability characteristics, allowing the mix to wet and rewet more consistently even after many months in storage. Testing in a variety of growing mixes has shown that Conductor’s superior formulation improves wetting and re-wetting better than competing products even after 9 months in the bag! Conductor’s longevity contributes to better production scheduling, reducing complaints about “old, unwettable” mixes and providing a more consistent growing environment for high quality crop production. Are you ready to make a purchase? Contact Walter Dea to learn more about Aquatrols products or to place your order for Aquatrols Soilless Media products today.